Too often, our money problems grow into some kind of monster hiding in the closet, growing bigger and badder and scarier every day that we keep them hidden. But if we want to change the behaviors that get us into trouble, we’ve got to kick the monster out of the closet—and laugh at him. And I don’t know anyone better equipped to do this than Jon Acuff. Through his blog and book, Stuff Christians Like, Jon’s proven that he has a unique perspective on life that helps us get the joke and get the truth behind the joke every time. Lucky for us, Jon decided to chronicle his observations on his own journey toward Financial Peace. 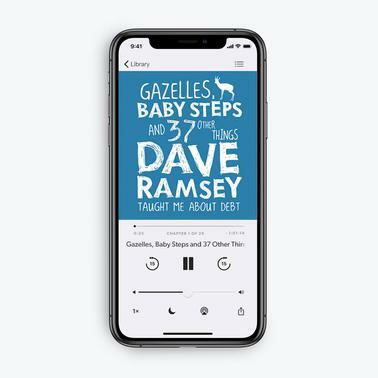 Think of it as an insider’s guide to the “Dave Ramsey” stuff we all laugh about. Do your former credit card companies stalk you like a deranged ex-girlfriend? Page 45. Do you need to baby-proof your home against 27-year-old kids trying to move into your basement? Page 19. Have you ever made the basket walk of shame? Page 173. Was your biggest question throughout Financial Peace University “How many blue shirts does Dave actually own?” Page 13.